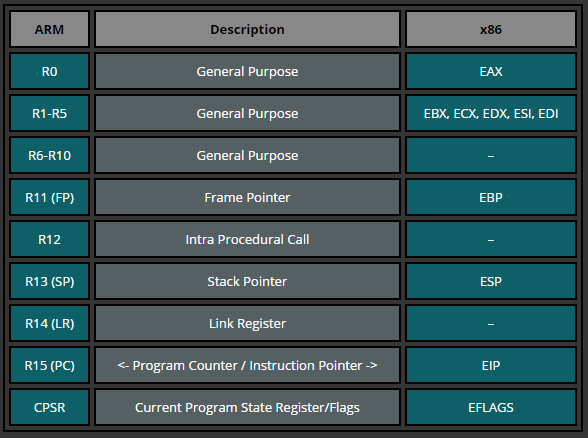 The register $cpsr shows the value of the Current Program Status Register (CPSR) and under that you can see the Flags thumb, fast, interrupt, overflow, carry, zero, and negative. 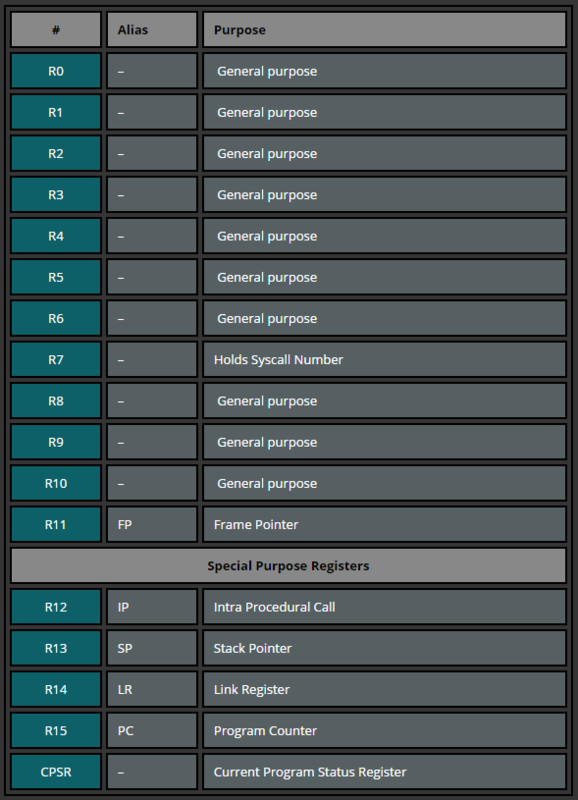 These flags represent certain bits in the CPSR register and are set according to the value of the CPSR and turn bold when activated. 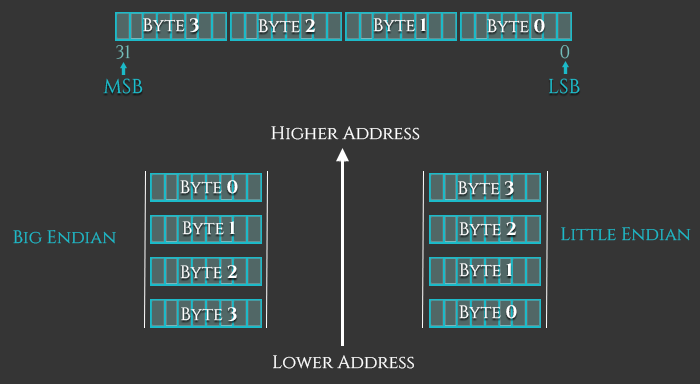 The N, Z, C, and V bits are identical to the SF, ZF, CF, and OF bits in the EFLAG register on x86. 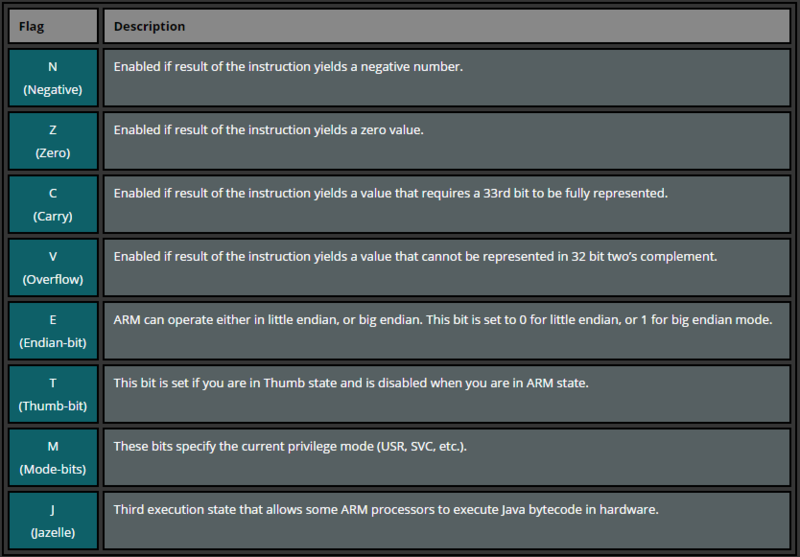 These bits are used to support conditional execution in conditionals and loops at the assembly level. 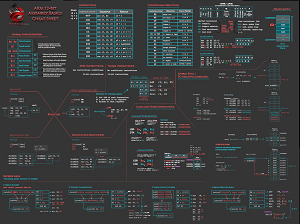 We will cover condition codes used in Part 6: Conditional Execution and Branching.